Naming rights play a huge role in the business arena of sports. Be it the naming rights of tournaments, leagues or stadiums; it concerns with mammoth monetary deals. The latest prospect in India is renaming the iconic Wankhede Stadium, Mumbai. The Mumbai Cricket Association has reportedly been looking for bids to rename the stadium. This shall be done by retaining the stadium’s original name and adding the sponsor’s name as the prefix or suffix if the deal is successful. The proposal has been put forth by three companies, namely IMG-Reliance, DDB Mudra and Baseline. Following this, Wankhede might be renamed to names such as Reliance Wankhede, DDB Mudra Wankhede or Baseline Wankhede. 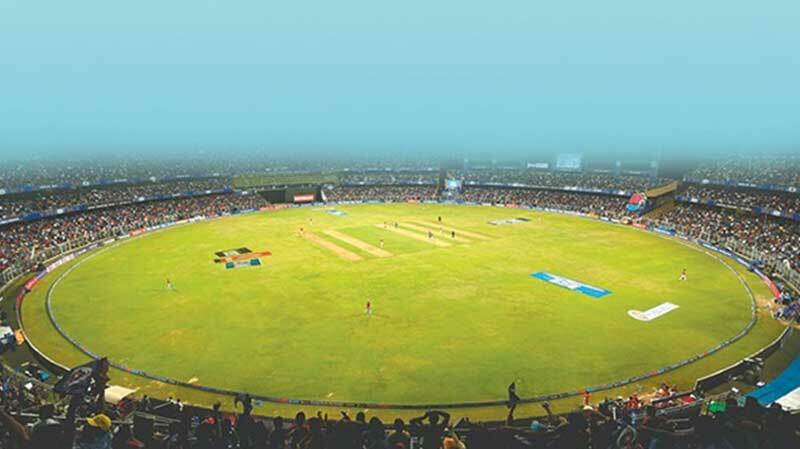 Initially in 2013, there had been a deal with Sahara India Pariwar who had bought the naming rights of Pune’s Maharashtra Cricket Association stadium. However, the Sahara Group’s delays in payments led to calling off the deal. With Wankhede Stadium on the verge of renaming, it can thus become the only branded sports venue of the nation. The aim is to exploit the brand and market the venue even during off season while there are no matches. According to reports, Mudra has quoted a return of mouthwatering 740-50 crore per year, while IMG-R has promised around Rs 12-15 crore per year and Baseline have pledged a more conservative Rs 5-6 crore per year. In any case, the MCA expects a deal which assures a potential of 7100 crore down the duration of five years. The proposed duration might be extended upon the success of the current deal. Wankhede being situated at the hub of the city and with an overwhelming capacity, the deal shall not only promise to brand the venue but also pitch in revenue for the firms.